Not everything lasts forever. Even the most successful of endeavours are doomed to collapse at some point in time, but what of those ventures that, for one reason or another, never fly quite that high? Some – like the recently defunct HRT or the long lamented Arrows teams for example – creak on, clinging to nothing as the floors are torn from beneath their feet. Others get out early, although not always early enough to save the monetary pain — and the past five years have been painful for Caterham. Or more specifically, team owner Tony Fernandes. Through name changes; once before they even entered a race, followed by a legal dogfights over the ghost of a long dead brand and political and technical upheavals, Caterham are bottom of the Constructor’s Championship and are again losing battle to Marussia. For a time Fernandes spoke of taking points and climbing the order, but eighty-five Grand Prix later and the Caterham scoresheet is still blank. Despite their best efforts, they have not been able to break into the top ranks. To top it off, the team entered this year with the CT05; a machine that is reportedly unbalanced, while Renault’s power unit has not delivered. As an aside to that, the ongoing political strife within Formula One has also taken its toll and Fernandes, robbing him and several other team owners of a say in the sport. And there built frustration and disenchantment. This is barely news and has rather been on the cards for some time. A great deal of money has been, but the return on investment is nil. So why wait..? Bye bye Tony and welcome back Colin Kolles and a hello to the new, as yet unnamed, investors from Switzerland and the Middle East. Team Principal Cyril Abiteboul has departed and is replaced by former F1 driver Christian Albers, who will be assisted by Manfredi Ravetto. Indeed. All change at Caterham. 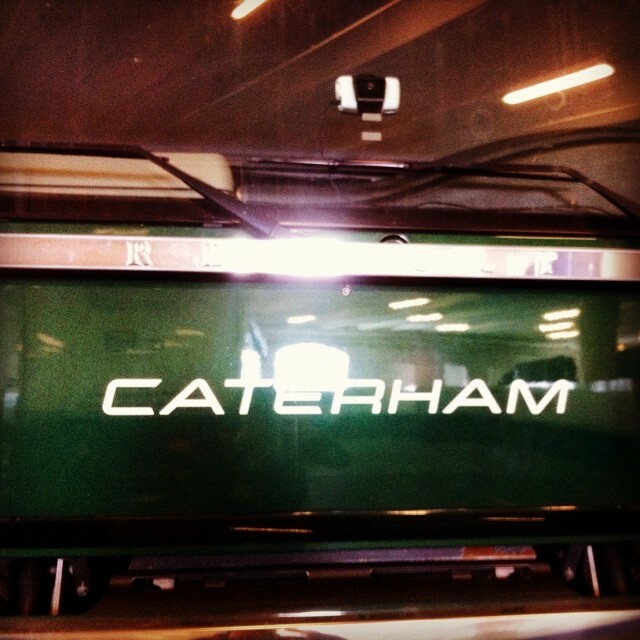 All change at Caterham. © Leigh O’Gorman.